Kyler Bean is a premier national client advisor for Matthews Industrial Division. Kyler specializes in the disposition/ acquisition of distribution warehouse space and heavy equipment rental properties across the country. 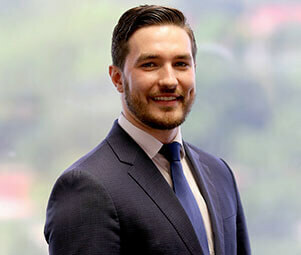 Kyler’s Real Estate career started at SVN, where he represented a wide array of tenants and landlords in numerous sale, lease, and buy side transactions. This transaction experience provides his clients with the highest level of service by leveraging experience, market knowledge, and forged relationships within the industry to exceed his clients expectations.